White tea history goes back a long way, but modern white tea didn't exist until the late 19th century. White tea is characterized by heavy withering and slight oxidation. When making green tea, high heat is applied to kill the enzymes and stop the oxidation process. Not so for white tea. In contrast, when making white tea, fresh tea leaves are left to wither for up to 3 days. Tea enzymes cause the leaves to mature, but factory conditions have to be precisely controlled to minimize oxidation. The tea is then sun or oven dried to reduce moisture to 5% or lower. It is a tricky business that takes a lot of skill and experience to get right. White tea may be the oldest type of tea. The ancient Chinese would sun-dry tea before storing for later consumption. It may not sound very sophisticated, but this is basically white tea processing. Some experts mistook this for white tea. 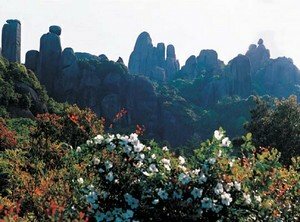 Emperor Song Hui Zong was referring to tea plants with white leaves, such as Wuyi Rock Tea's Baijiguan (White Rooster) and the popular Anji Baicha. Even though they have white colored leaves, they are processed like green tea, and so are considered green tea, not white tea. So white tea processing did exist back in 16th century. However, modern white tea didn't take off until late 19th century. The highest quality white tea is made entirely of buds. It is known as Silver Needle or Baihao Yinzhen. It was first produced in southern China's Fujian Province, in the county of Fuding and Zhenghe. According to authoritative sources of Chinese white tea history, Silver Needle was first invented in late 18th century Fujian Province. The breakthrough was achieved in 1857 at Fuding County. The Fuding Big White (Dabai) tea plant, native to Fuding's Taimu Mountain, was successfully cultivated using asexual propagation technique. 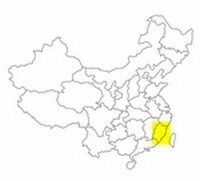 Zhenghe County quickly followed suit. The Zhenghe Big White tea plant was cultivated in 1880. Production began in 1889. Although Silver Needle is one of China's 10 Famous Teas, few Chinese drink it. Since its 20th century rebirth, it is destined primarily for export. First exported in 1891, Silver Needle was hugely popular overseas, until the First World War struck and reduced trade to a trickle. What Is Tribute Tea Or Gong Cha? Tribute tea, or Gong Cha, was consumed by Chinese emperors. 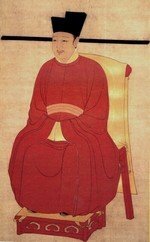 It has a huge influence on the course of Chinese tea history.